The average pension payment in Ukraine is by 210 hryvnia lower than the real cost of living. This was announced by OPPOSITION PLATFORM — FOR LIFE MP Serhiy Lovochkin. 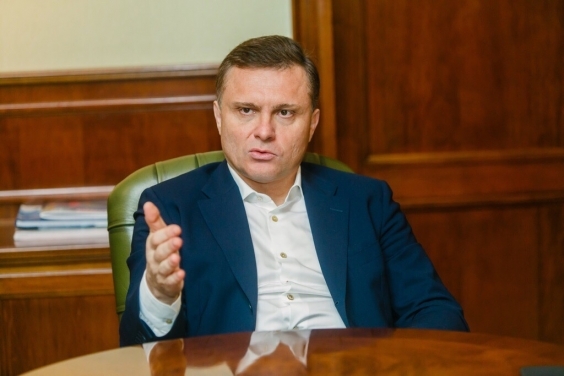 He believes that current critical situation with the Pension Fund will only aggravate unless Ukraine reaches high and stable economy growth rates. “Despite the so-called indexations and increases over the past two years, average pension payments remain low and do not even cover minimal needs of the elderly. The situation in which the Pension Fund has found itself remains critical despite the broadly advertised ‘reforms.’ Unless Ukraine reaches stable and high levels of economy growth and stops negative migration and demographic trends, the situation will only get worse,” Lovochkin said. The politician informed that as of Jan. 1, 2019, the average pension payment was 2,646 hryvnia per month, which is by 6.7 percent (or 166 hryvnia) more than in early 2018. The minimum pension payment over the same period increased by only 3.1 percent (from 1,452 hryvnia to 1,497 hryvnia), while the official inflation rate was estimated at 9.8 percent in 2018. According to Lovochkin, the average pension payment was still by 210 hryvnia (or 7.4 percent) lower than the real cost of living for unemployable persons (set at 2,856 hryvnia in 2018 prices) as calculated by the Social Policy Ministry in accordance with the price index. At the same time, 52 percent of retired persons were paid under 2,000 hryvnia per month, i.e. at least by 25 percent under the real cost of living. Another one in four retirees were paid between 2,000 and 3,000 hryvnia per month, which is either under the real cost of living for unemployable persons or just 144 hryvnia above it. “It’s not some coincidence, but a deliberate policy of the current government over its entire five-year tenure. While in early 2014 the minimum age pension payment corresponded with the real cost of living for unemployable persons, in early 2019 it only reached slightly above its median level,” the MP said. Lovochkin said that between 2014 and 2018, the minimum pension payment rose by 58 percent, and the average by 73 percent. The prices soared by over 2.5 times over the same period. In USD equivalent, the average payments dropped twofold, and the minimum pension payments decreased by 2.2 times. “This policy has resulted in millions of Ukrainian retirees living below the poverty line. We as the opposition have been warning for all these years that the Pension Fund’s problems cannot be solved through ‘reforms’ that cut pension payments and increase the qualifying period for retirement. The only solution is to prioritize the development of the economy and manufacturing industry at first place. “2019 should be a watershed year. We need professionals in the government who will be able to deal with the economy issues instead of implementing the policy of ideological splits. It’s either we achieve this, or we lose the country,” Lovochkin summed up.